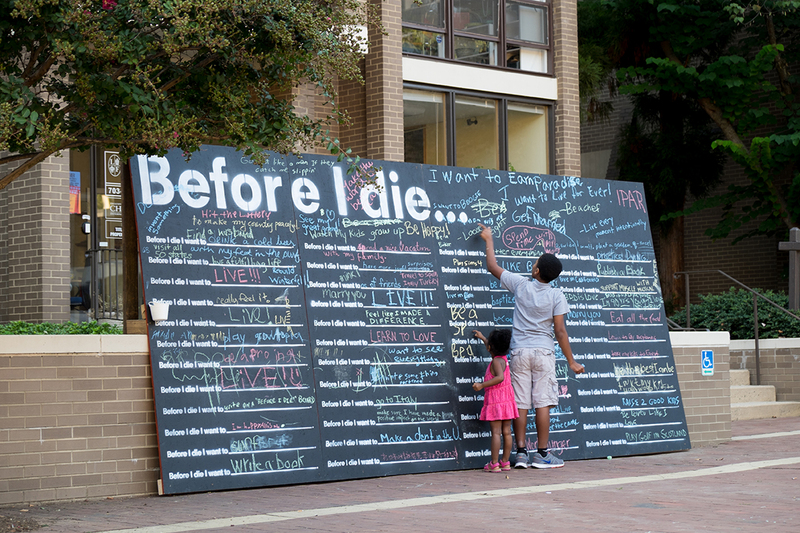 The Before I Die project is a participatory public art project that invites communities to reflect on life, death, grief, hopes, and aspirations. It began at an abandoned house in New Orleans after artist, Candy Chang, lost a loved one. 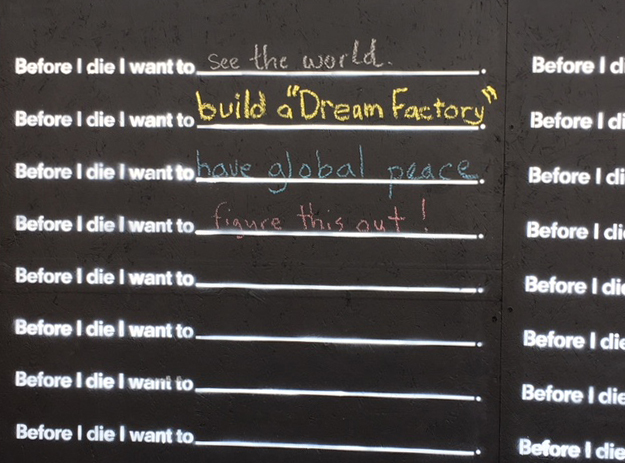 In response to her grief she painted the side of an abandoned home with chalkboard paint, stenciled the words “Before I die I want to _______” and left the wall with chalk to be filled by passers-by. The next day the whole wall was filled. Since then, 2000 walls in 76 countries have been made in 38 languages. 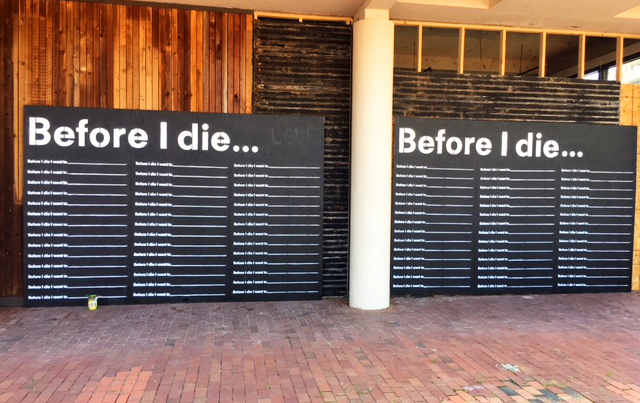 They capture the spirit of local communities by revealing the passions, grief, and hopes of its residents and bring perspective to its participants. 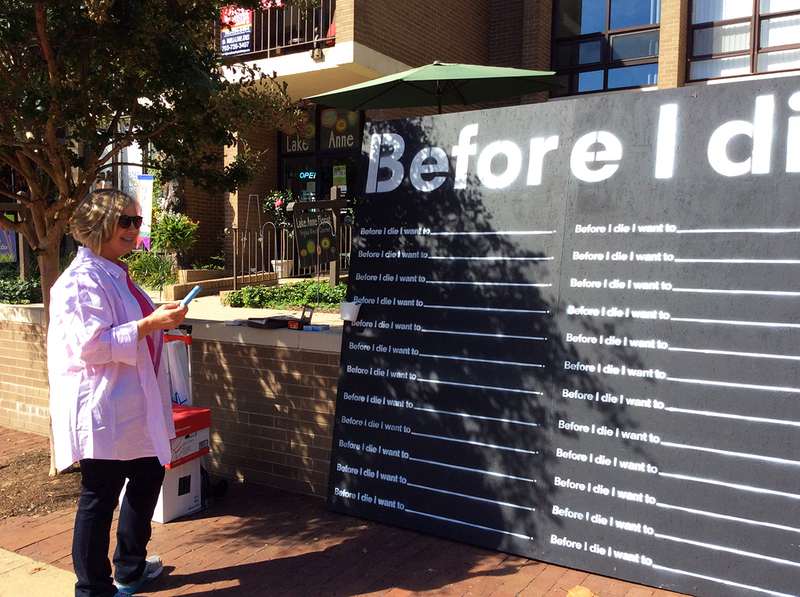 Reston’s Before I Die wall was mounted in August 2014 at Lake Anne Village Center during the local Lake Anne Jazz and Blues Festival. 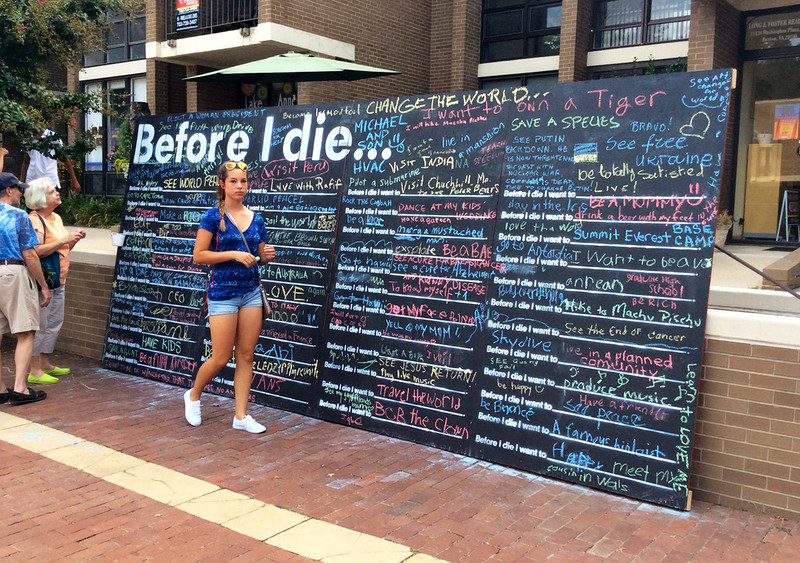 Over the course of four weeks Restonians filled the wall again and again. The project established a place for reflection, hope, and empathy and captured the spirit of the people that make the place.